You must have witnessed a steady growth in the healthcare charges levied on your patients. But did you wonder why you aren't encountering a similar growth in your healthcare organization's net cash influx? The reason for this lies in your accounts receivable process. A complete claims reimbursement requires accurate charge capture and clean claims. And if somehow claims get rejected, then, managing the receivables for unclean claim becomes a daunting task. At Outsource2india, we ensure a validated AR follow-up process. We have highly-trained & competent AR experts who leverage advanced and robust tools to accurately examine, correct, appeal, and/or re-file the claims. 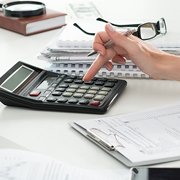 Our accounts receivable follow-up service focus on the problems that hinder the collection efforts in the first place. We have a dedicated team of medical billing collection experts. Our experts can help your organization to keep track of all the pending claims, investigate denials, follow-up on collections, track balances, and pursue any other due payments. Our services will help you reduce the number of AR days and improve your healthcare organization's cash flow. Our expert team has the required skills and experience to follow up with the insurance companies through their website and internet payer portals. They can quickly check the status of the unpaid claims. We have the required talents, infrastructure, and validated process to identify the factors leading to non-payment of dues. We help you recover debts in a timely fashion by committing to the rejecting claim applications. We can help you create the different types of financial reports. We also assist you to differentiate between the collectibles and non-collectibles and identify co-insurance and bill them accordingly. From monthly to quarterly to yearly, we can help you with all the required financial report creation. We leverage state-of-the-art software to provide fast, inexpensive, and secure accounts receivable follow-up services. If a medical claim is not paid during the anticipated response time, our medical coders get an alert. They can also see the actual amount and the expected reimbursement after they post the payment and flag any overpayment or underpayment. Our software can successfully track any unpaid insurance claim, manage patient's collectible, and generate account receivable reports. We examine the documentation to perfectly capture all the activities. We also make sure that the collected information is complete, and the data are accurate. Then, we will review the procedure codes against the diagnosis to ensure its accuracy. We will correct mismatches and rectify it. We will check the rejected claims for systematic issues that can be addressed in the pre-billing process. Our streamlined approach help address the documentation issues. Once the payer accepts the claim and processes it, we review the insurance benefits. This process ensures that the adjudication reflects the provider-insurer contractual agreement. We pursue the adjudicated amounts and appeal if necessary. We pursue balances from patients, according to the state and federal provisions. We leverage various collection methods, including web-based payment options, outbound calls made on accounts and customized billing cycles. We follow some of the most efficient medical billing and accounts receivable follow-up processes. With O2I, you have the freedom to choose the pricing model, which are based on hours, per unit work done, percentage collection, etc. We also customize our AR follow-up service's pricing according to your niche needs. At O2I, we leverage secured server to download data from your healthcare organization to our domain over FTP. We have a safe workstation and strictly adhere to all the mandatory security policies. Our healthcare support executives only have the access to the billing software and related tools. Also, their workstations are constantly monitored from the time they log in to the time they log out. In addition to all the data security measures we have established in our offices, we also conduct the regular security audits to ensure all the processes are secure. We are ISO 9001:2000 certified organization and follow 100% HIPAA compliance standards, which guarantee that all the required physical, network, and process security measures are in place and followed. We have four different offices and five delivery centers across the globe, which allows us to provide quick accounts receivable follow-up services. These global delivery centers operate 24*7 and give you a time zone advantage. We assure you that our representative will be always available for calls during your work hours, no matter what part of the world you work in. Our offices are equipped with the advanced infrastructure required to provide high-quality AR follow-up services. We also have Independent Internet Leased Circuits, built in IT redundancies, 200% power back up, etc. We also mandate that our healthcare support executives and medical coding staff strictly comply with HIPAA's security measures. Our O2I coders examine the diagnosis against its procedure code and correct the mismatches. They will also work with the providers for a larger number of discrepancies. We have a dedicated QA team to handle a project and have maintained 98% accuracy surpassing the industry standards. We have the necessary resource capability, both in terms of proficiency and infrastructure. You can rely on us to handle any spike in your business demands so that you pay only for the services rendered. We follow a systematic approach to address claim rejection after analyzing and validating the medical codes. By collaborating with us, you will see an immediate upsurge in your productivity level. At Outsource2india, we have a healthcare & insurance support team of 50+ experts. They are adept at confirming code accuracy, addressing claim rejection, analyzing and validating the codes, and pursuing the patients for the remaining balance. This ensures continuous cash influx to manage and grow yow your medical facility. O2I assisted a leading healthcare organization with their accounts receivable process and helped improve their cash flow. Read the entire case study. Hello, I wanted to reach out to you directly and express my gratitude on the hard work that the Data team as well as the AR team has done with EJ practice. Outsource2india has been a leading provider of accounts receivable follow-up services and other medical billing and coding services. Having been serving the healthcare services industry for over 20 years, we have gained enough experience in catering to the varied needs of the clients from across the globe. Our team comprises some of the most skilled medical insurance experts who have the experience of working with healthcare clients from different parts of the world. Our multiple delivery centers spread across time zones help us deliver high-quality services within a short time. If you are looking for a reliable, accurate, efficient, and cost-effective account receivable follow-up service provider, then you have come to the right place. Get in touch with us today!